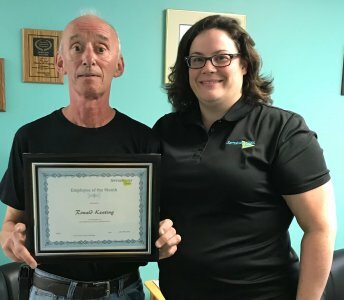 Employees of the Month - July 2018 Ron K. & Carl C.
It is one thing to join a team, but quite another to perform as a team member. Teamwork is very important it doesn’t mean both are doing the same thing. Teamwork maximizes strengths, bringing out the best in each team member. These strengths complement each other thus creating a great work environment. Teamwork is a meaningful way of working together. Not all teams are made up of friends, nor do they need to be in order for them to be effective. With that in mind we would like to introduce Ron Keating and Carl Cramm as July’s Employee of the month. Ron and Carl met for the first time in November of 2017 Carl’s first day at ServiceMaster Clean and have been working together as a team since that time.